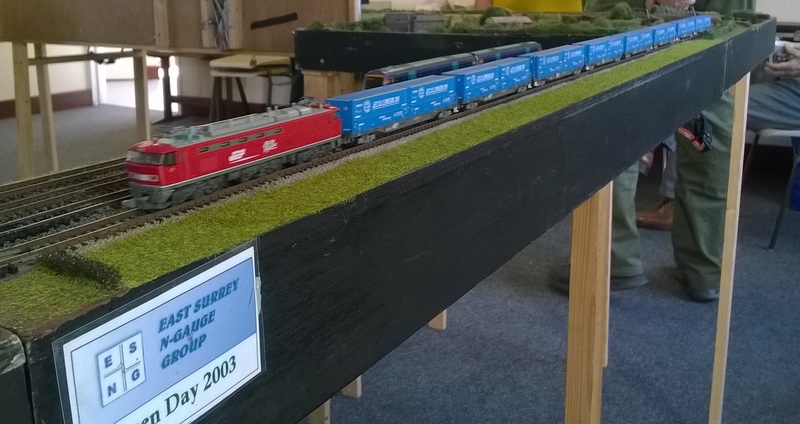 Sunday’s PlayDay was well attended, and we soon had a large circuit up and running. The usual suspects were present. Miles, as ever, brought an excellent cake, and as the photo below shows, helped eat it. 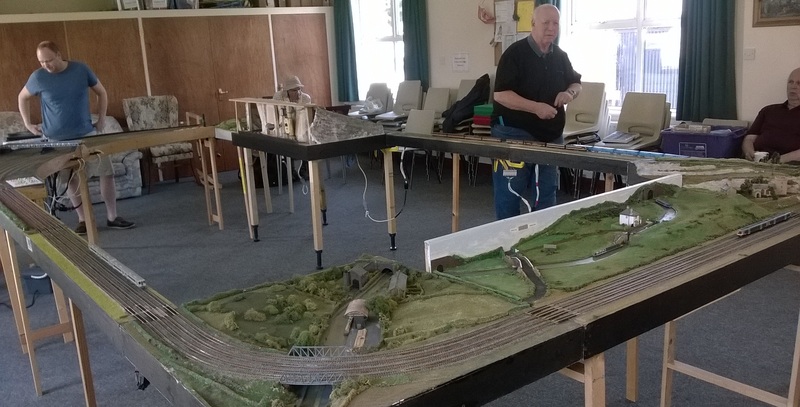 Mr Apps showed how dangerous railway modelling can be. Exploring the boot of his car for some trains, one gas strut on the tailgate failed and it’s descent was stopped by Derek’s head. Fortunately, despite some blood and a bump and a headache, he seems none the worse for wear. As we uncharitably commented at the time, weren’t dinosaur’s brains situated rather lower in the body? As for the trains, Paul had his usual Japanese stock on the go…. 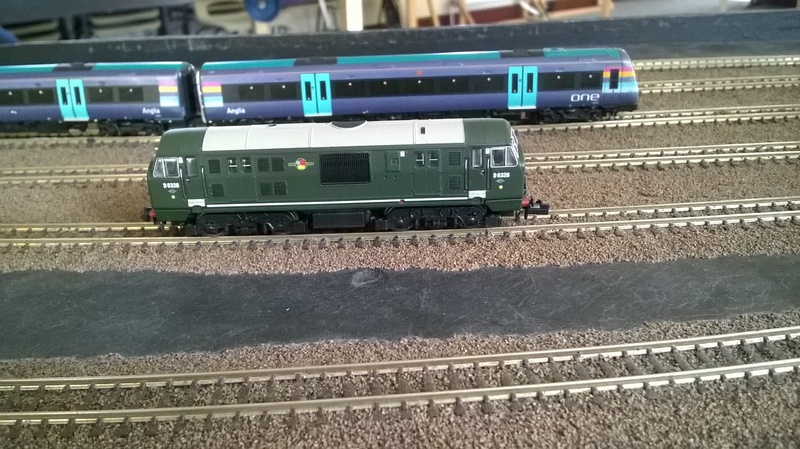 Allan was running a Swiss push-pull train…..
Dave had a very attractive rake of Dapol Collett coaches behind a very venerable Co-Co LMS diesel…. I’ve had an expensive week, as there are too many offers still going around. I ran my fish train again, but the Class 26 was joined by a dummy, non-powered, Class 27 behind. It takes some inspection to tell the difference, mainly with the different grilles on the roof and body. A very pleasant afternoon running trains with friends was made even better by a lovely warm day outside – we had the door open from the hall to the garden all afternoon – and a good curry afterwards.